From 2014 is possible to allocate the 8×100 in favor of the Italian Buddhist Union. Every Citizen that delivers the personal income tax return can choose, signin the provided box, to allocate the 8×1000 of the irpef income choosing from the 11 religious subjects and the state that can benefit from it. 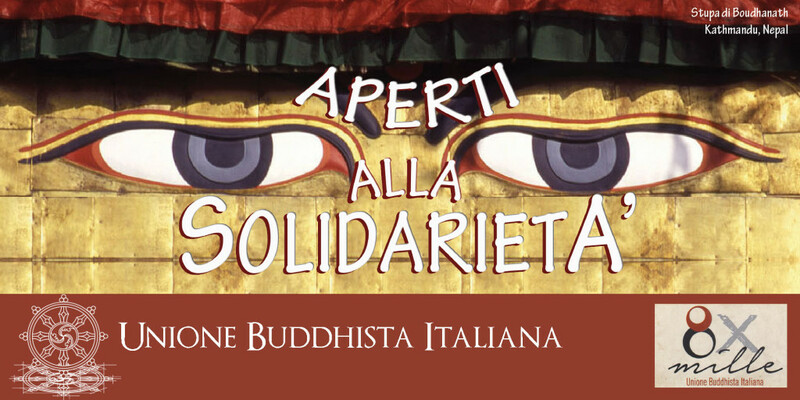 Between those, since 2014, the Italian Buddhist Union, after signing the agreement with the Italian Government, is present. The 8×1000 is the share of the IRPEF that the Government specifically earmarkes for religious faiths and for Itself for social and humanitarian purposes. Therefore every Citizen can select both destinations. The real resourse that supports the Institute’s life and allows to face its new projects is the generosity and good heart of his supporters. Support The Institute Lama Tsong Khapa now. If you want to dedicate the merits of your offer in the memory or for the benefit of someone close to you, You can declare it in the reserved space of the form for credit transfer or in the text field of the pay pal page.